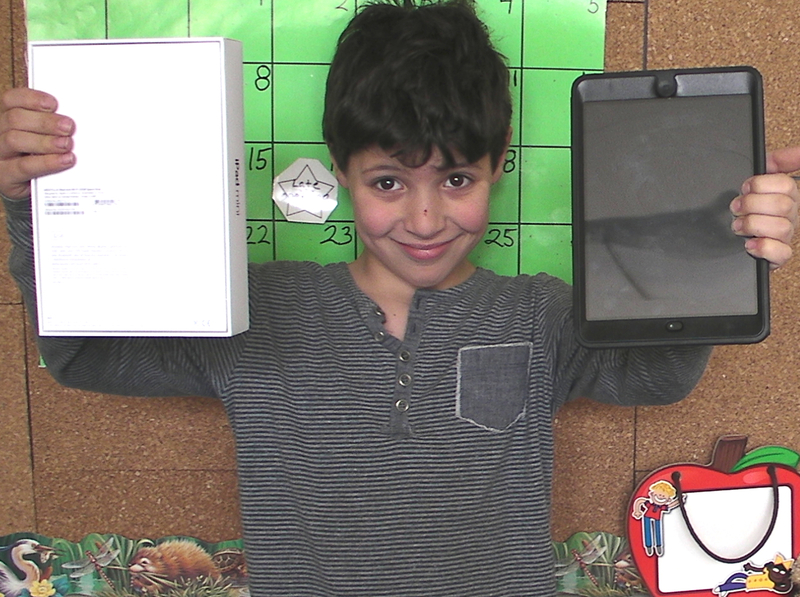 When 9-year-old Caelen Ough decided his fellow students in The Shadow Project at Duniway Elementary’s special education program needed an iPad he created a video and posted it on a fundraising website. Within a week, Caelen had raised $615 from 15 donors (exceeding his goal by $15). 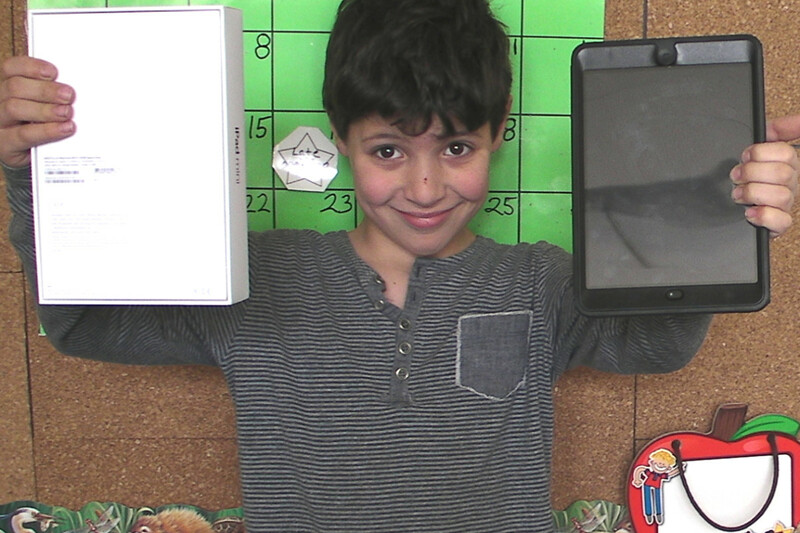 “The iPad can help kids with disabilities learn new things, read books and play games like chess,” said Caelen, who got the idea by studying the iPad in his mainstream classroom. Caelen didn’t reveal his plan to special ed teacher Kathy Domingue until after he raised the money. Then he promptly took Kathy and his mother shopping for an iPad mini and cover. “I’m very proud of Caelen for thinking of other children and how he can help out,” said Kathy. Caelen is an outstanding student who has been diagnosed with Autism Spectrum Disorder. “My learning challenge is saying the things I really want to say. I get confused sometimes and it feels like my brain is bouncing from wall to wall,” he said. His mother, Kedma Ough, said she hopes Caelen’s gift to Duniway students in The Shadow Project will raise awareness about the capabilities of children with special needs, and inspire other students to achieve their potential. “Every child has a voice that needs to be heard,” she said.